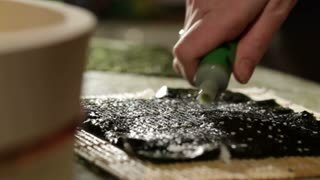 Putting wasabi on the nori while cooking sushi rolls. 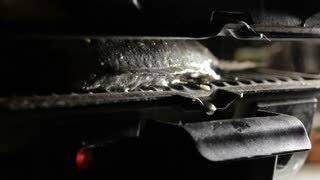 Fish cooking in the grill. Fat droplets. Macro shot. Chef cooking dessert. Berries and mascarpone cheese. Recipe of sweet sushi rolls. 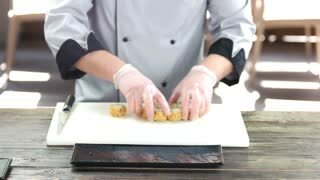 Man's hands making sushi rolls. Man in robe cooking sushi. 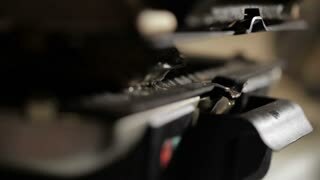 Task for skillful hands. Best dish in japanese restaurant. Man's hands touching sushi. Cooking board with sushi rolls. Cooking teacher showing skills. Good result requires patience. Man's hands make sushi. Long orange sushi roll. 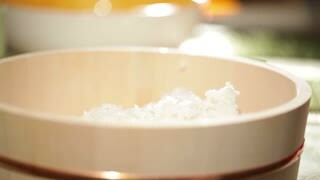 Traditions of japanese cuisine. Best student of cooking class. 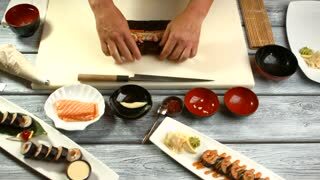 Man's hands cook sushi. 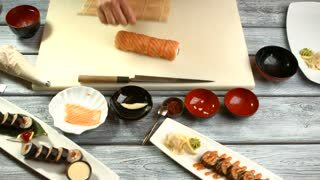 Sushi roll on cooking board. Healthy japanese food. Lots of different ingredients.